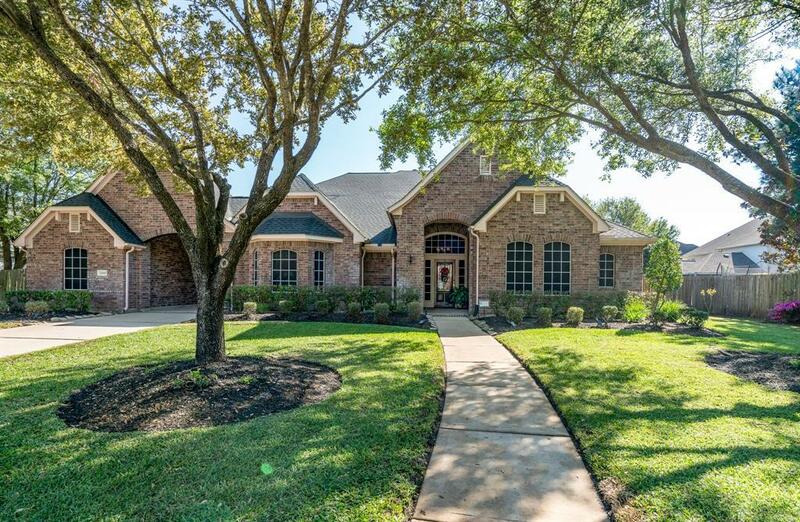 Must see this gorgeous 1.5 story, Trendmaker home located in Blackhorse Ranch. 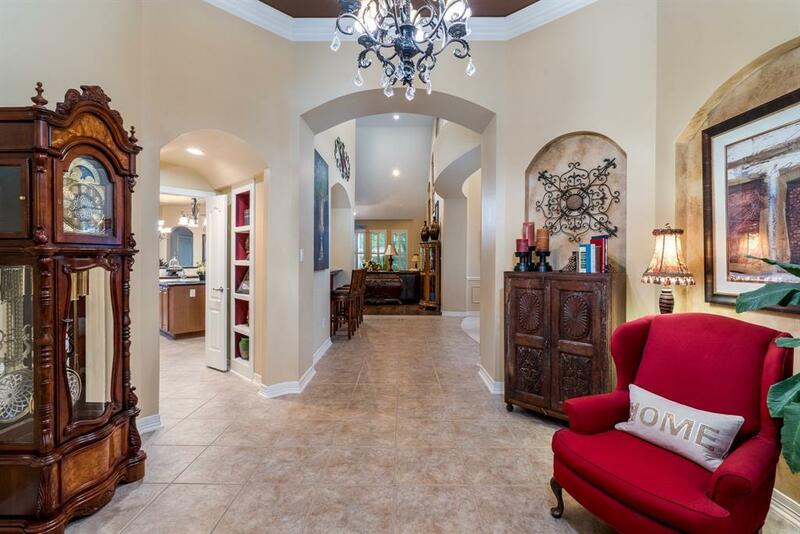 Grand rotunda with crown molding, custom painted ceiling and awesome chandelier will wow your guests. The 3 bedrooms up front all have large closets, bathrooms, fans, blinds and tall ceilings. Enormous island kitchen has granite, double sinks, tons of cabinets, travertine backsplash, raised dishwasher, pendant lights and a walk-in pantry with built-in spice racks. 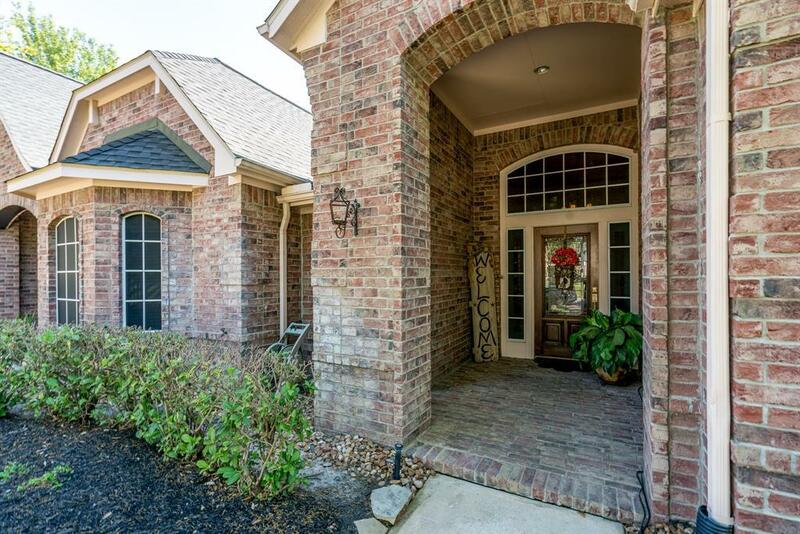 Large family room has plantation shutters, bay window, tall ceilings, large Hunter fan and art niches. The master suite has bay window, crown and door leading to the yard. Master bath has dual vanities, his and hers closets, jacuzzi tub, chandelier, separate shower with rock bottom and dressing mirrors. Big game room upstairs with full bath and huge secret storage room. There's a large covered patio with solar screens and wired for surround. 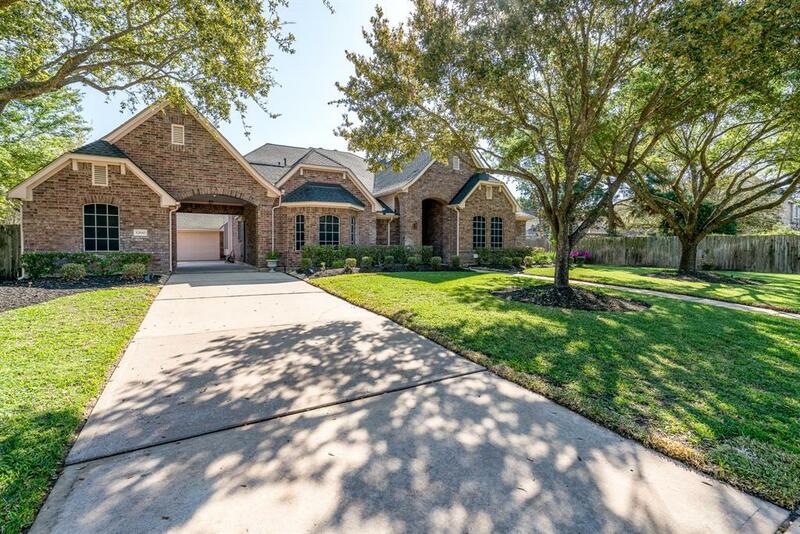 Huge yard with great trees and landscaping, and room for a pool! Come see!